The following is a brief history of Mr. Leon Bolduc’s early years as an entrepreneur in the theatre business and the events that led to Mr. Bolduc building the Bolduc Block in the center of Conway Village. Courtesy of Adrian E. Hurd, a local historian. In October of 1919, Mr. Leon Bolduc purchased the Bijou Theater from Mr. Howard Straw. The Bijou Theatre was located at 56 Pleasant Street in Conway Village. After purchasing the Bijou, Mr. Bolduc lived in Florida for several winters where he was hired to run movies at the John D. Rockefeller estate. Mrs. Bolduc remained in Conway to manage the Bijou in her husband’s absence. In the early years, Mr. Bolduc managed to show his picture shows in several other locations including Silver Lake, Tamworth, Chocorua, and Jackson. In 1927, the Bijou Theatre got a new marquee which was brilliantly lit. That same year, Mr. Bolduc purchased Wiley’s Theatre in Lovell, ME. On July 6th, 1923, on an early Friday morning, between 2 and 3am, a fire started in the Shaw Block which was owned by Mr. Charles Wheeler. The fire quickly spread destroying four buildings on the West Side of Main Street just north of the bridge in the center of Conway Village. One of those buildings was the Merrill Block which, at the time of the fire, housed the Conway Café, then owned and operated by Mrs. Anna Levoy. After the fire, this lot remained vacant for several years until it was purchased by Mr. Bolduc. On that vacant lot, Mr. Bolduc built what would become known as the Bolduc Block. Construction on Mr. Bolduc’s new building began in the Fall of 1930. By that November, the cellar had been excavated and the frame work was being raised. Progress on the new building continued in spite of the winter weather. By February 1931, the building was entirely closed in and work was going on in the interior. By March, the weather protection that had been covering the front of the building had been taken down and the front of the building was being faced with tapestry brick. New doors were being installed and progress was being made on the corridor to the theatre. By the end of April, an awning appeared over the entrance of one of the stores to advertise Frank Allard’s Grocery Store. Soon after that, another one appeared next to it to advertise Tony Labnon’s Department Store. As work continued on Mr. Bolduc’s new building, it was very obvious that it wouldn’t be long before the new building would be ready for occupancy. The Grand Opening of Mr. Frank Allard’s Grocery Store took place on Friday, May 1, 1931. The Grand Opening of Mr. Tony Labnon’s Grocery Store took place on Saturday, May 2, 1931. Progress on the theatre continued and W. Langlais the Jeweler occupied the store at the South End of the building. The following year, the Conway Post Office occupied the North End of the building. 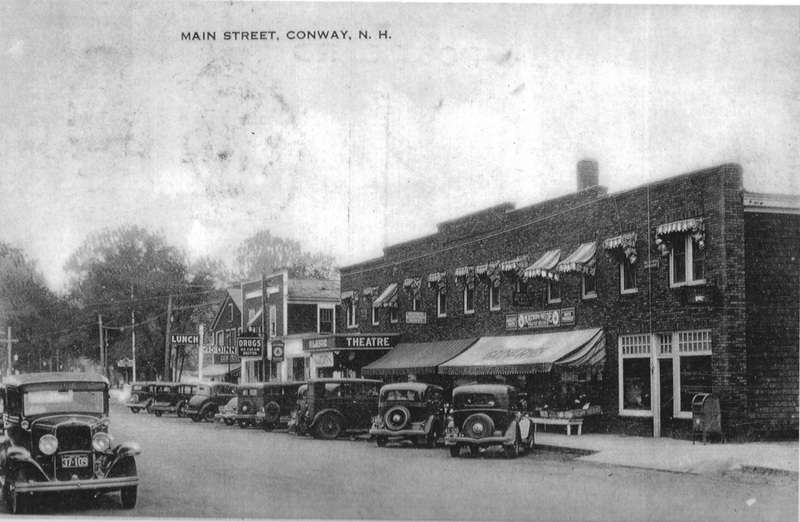 On the evening of Wednesday, June 24, 1931, Mr. Bolduc opened the New Conway Theatre to the public. Before the movie, The Conway Band entertained the guests with a fine concert in front of the theatre. To the left is the cover of the program for that opening night. At 7:30pm, the doors were opened and the theatre was filled to capacity within minutes. Suddenly, the velvet curtains were drawn back disclosing a silk hung stage occupied by The Conway Band playing a very inspiring selection of music. Again, the curtains were drawn back revealing a stage adorned with beautiful flowers. Then, Mr. Bolduc entered and was greeted with a very enthusiastic applause. Mr. Bolduc thanked the many friends for their past patronage and promised future efforts to please the community. That night, the audience was treated to an interesting program including a cartoon, a short comedy, a geography lesson in technicolor and, finally, the main feature: “Stepping Out” – an MGM comedy. 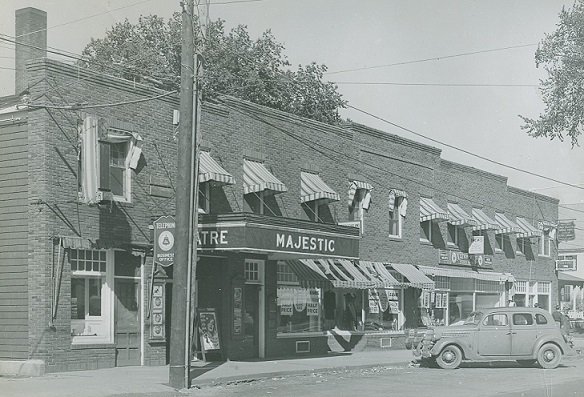 Years later, a naming contest was held and the New Conway Theatre was renamed the Majestic Theatre. In the early years of the Majestic Theatre, the projectionist was Mr. John King and his sister, Ms. Florida King ran the ticket booth. The second floor of the new Bolduc Block offered several office spaces for rent and were soon occupied. 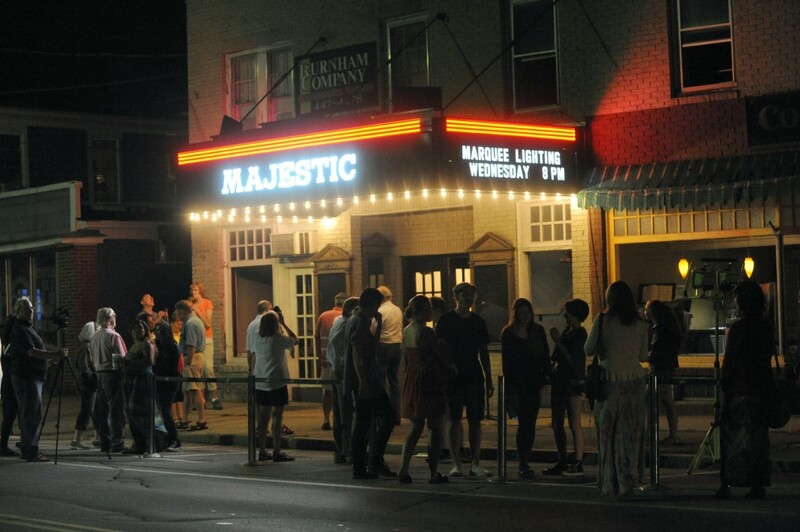 The community could always count on the Majestic Theatre to play the biggest and best movies. It was also the site of a wide variety of functions and special events through the years. During World War II, the Majestic Theatre held a “key drive” for metal needed in the war effort. Children who collected keys for the drive were rewarded with admission to a movie. Prizes were given out to the top three key collectors. First prize went to Faye Thurston with 393 keys; second prize went to Abbott Thompson with 231 keys, and third prize when to Neal Wiggin with 172 keys. A total of 6,627 keys were collected in the drive. In 1958, the Elks Club began sponsoring an annual amateur variety show at the Majestic Theatre under the direction of Mr. Norman Labnon. Mr. Ray Houle was the master of ceremonies. Through the 1960’s, the Majestic Theatre continued to show a wide variety of movies including many award-winning films. 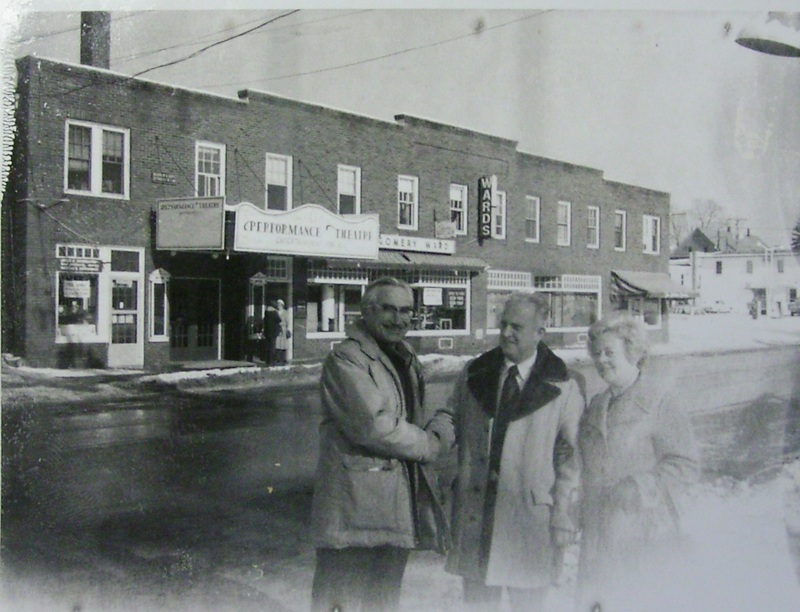 In 1972, Mr. Ernest Drown was hired to manage the Majestic Theatre and the North Conway Theatre. Both were owned at the time by the Cinemette Corporation of Pittsburgh, PA. Mr. Drown had many years of experience in the theatre business beginning in 1916 when, at age 17, he was hired as the projectionist. His love for the theatre soon led to many years of theatre ownership and management. Mr. Drown eventually left the two theaters for a position at the White Mountain Drive-In Theatre. After Mr. Drown, Mr. Bruce MacKay was hired to manage the Majestic Theatre. Mr. MacKay had been a professional Broadway actor for 30 years. In 1975, Mr. MacKay brought professional drama to the Majestic Theatre by producing a 10-week series of plays that began on July 1st. 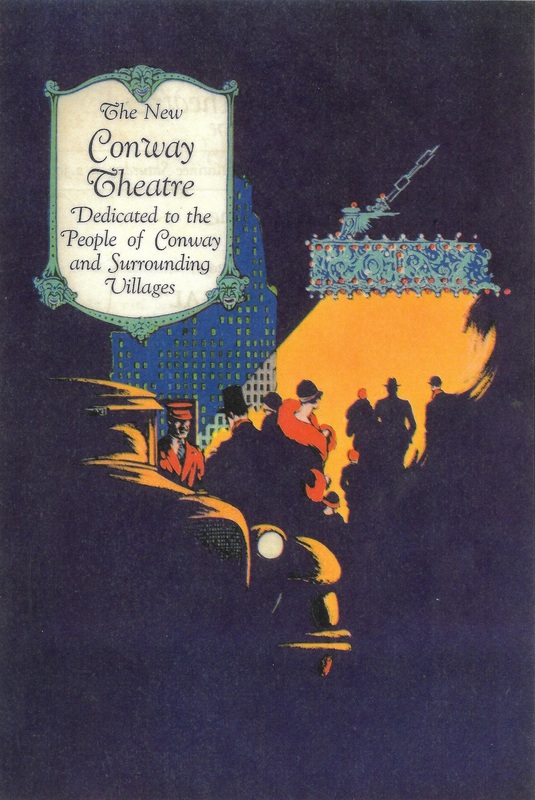 These productions featured professional Broadway talent and the Majestic Theatre was now referred to as the Conway Playhouse. Mr. MacKay’s productions were very entertaining but didn’t prove to be financial successful. By November 1975, signs covered the Majestic Theatre marquee to advertise the new Performance Theatre. The Grand Opening of the new Performance Theatre took place on Friday, November 28, 1975. In the late 1970’s, Mr. Tom Goodman of the Magic Lantern Theatre in Bridgton, ME was hired to manage the Majestic Theatre. There were many businesses that occupied the Bolduc Block through the years since it’s beginnings in 1931. However, the recession of the late 1970’s, that went well into the 1980’s, created an uncertain future for the Bolduc Block. The Bolduc Block property was eventually put on the market and there was a real danger of the Bolduc Block being demolished. In 1992, Mr. Joseph Quirk formed the Quirk Family Corporation and purchased the Bolduc Block at a bankruptcy auction. Much of Mr. Quirk’s early help with keeping the theatre going was purely the help of volunteers. Keeping the theatre running was a struggle for Mr. Quirk. He would often say that the film distributors favored the big multi-theatre complexes and it was getting much more difficult to rent the big name movies. The Majestic Theatre hosted a gala event with the NH premiere of Jay Craven’s “Where the Rivers Flow North.” Opening night was complete with limos, tuxedos, and the director seated in the audience! 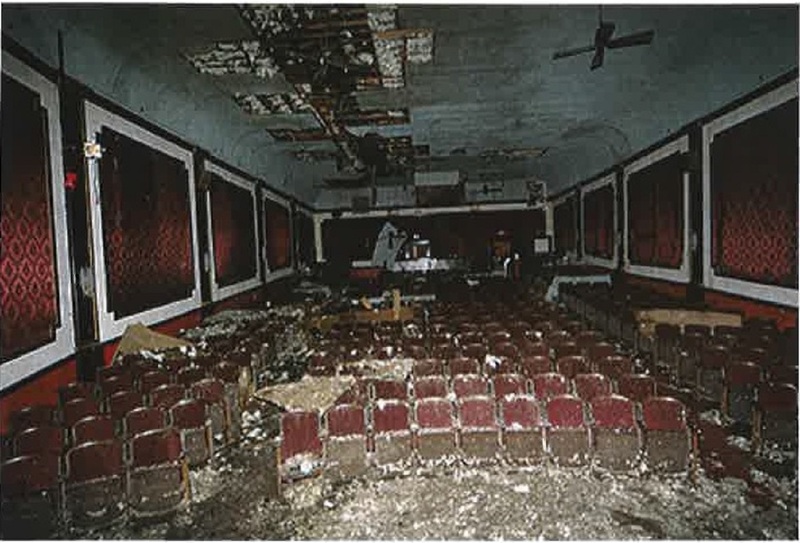 In 2005, a fire caused substantial damage to the Majestic Theatre. 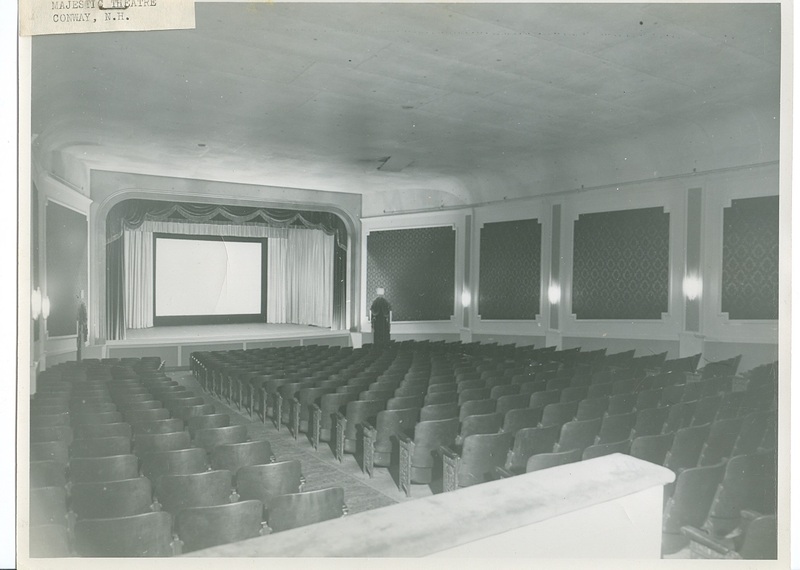 In another part of the building, Mr. Quirk built a much smaller theatre that proved to be very efficient to a smaller audience. A large part of the Buldoc Block was occupied by the Conway Café, where Mr. Quirk served the finest home cooking. Customers at the Conway Café were often entertained by live musicians and the DJ services of Mikes Mobile Sound. The Buldoc Block is now owned by the Mountain Top Music Center with George Wiese as the Executive Director. Their goal is to restore the Bolduc Block and restore the Majestic Theatre back to its original glory. On the evening of September 2, 2015, the Mountain Top Music Center did much more than light a newly built Majestic Theatre marquee, they were illuminating a legacy.